This UGC T&L Project on Information Literacy aims to enhance information literacy among students in UGC-funded institutions by developing and implementing a shared interactive multimedia courseware, so as to foster their capacity to use information to learn, and to build students’ awareness of themselves as informed learners. 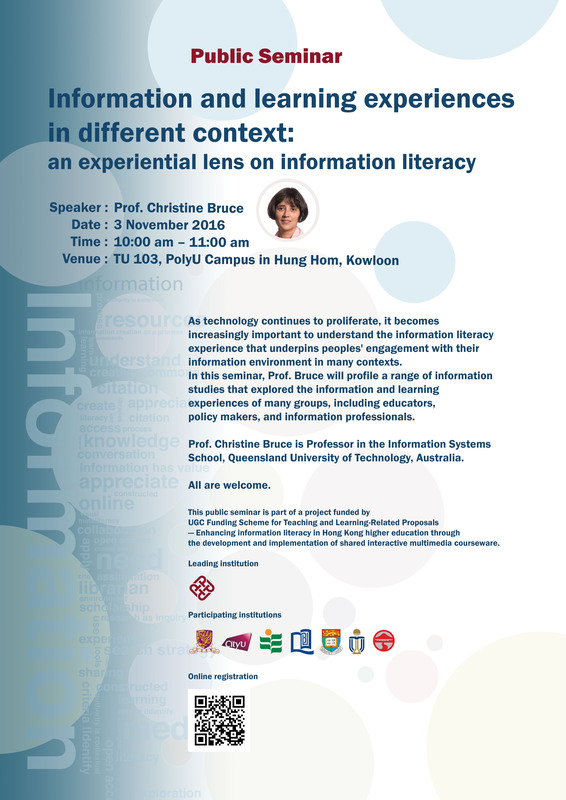 In order for the courseware content to be relevant to students and their context, specific educational needs for information literacy (IL) among local university students will be surveyed and assessed to form a knowledge base, to guide the development of the evidence-based IL courseware and a self-assessment tool. PDF version of the project's summary is hosted at the UGC's web here.